"Case based tactics in passive self ligation, esthetics, the doctor / patient relationship and more"
Dr. Miller will lead a combination case-based and didactic presentation using facial-driven treatment planning strategies combined with academic research. He will discuss case-based passive self-ligation minimally-invasive treatment techniques designed to maximize esthetics and function for patients. He will demonstrate protocols for indirect bonding (both in-house and computer-aided Insignia ®) protocols. He will discuss clinical decision-making based on research and experience to codify the treatment planning process and achieve the best esthetics and function for patients. He will discuss informed consent and the Doctor - patient relationship for children, adults and patients with special needs. He will discuss skeletal anchorage, the regional acceleratory phenomenon, orthognathic surgery, bone biology, whole and partial mouth reconstructions, and interdisciplinary treatment for patients with complex cases. He will discuss diode laser therapy, enamel re-contouring and performing simple in-house restorations to deliver the best esthetics for patients. 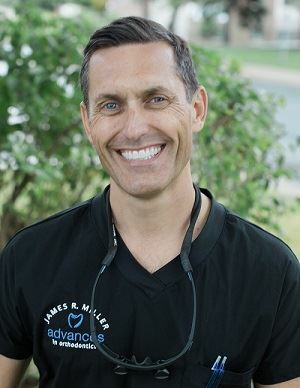 James Miller, DDS, MS is a board certified (ABO) orthodontist at Advances in Orthodontics in Golden Valley, MN. He is an Adjunct Clinical Associate Professor at the Division of Orthodontics, University of Minnesota which is a critical access provider clinic to an undeserved patient population. He has given over 70 invited lecture presentations locally, regionally, and nationally on the topic of facial proportions, Passive Self-Ligation mechanics, smile esthetics, skeletal anchorage, alveolar bone biology, accelerated tooth movement, informed consent and other orthodontic topics. He has authored original research or case reports in orthodontics, temporary anchorage devices, informed consent, the doctor-patient relationship, microbiology, bone biology, digital models and muscular dystrophy. Dr. Miller is married to a pediatric dentist and has four young children ages 7 - 12. He has been using Insignia and the Damon System for the past six years. Brochure and registration will be available soon!